3 Myths About Dry Pet Food You Need To Know | Purrrfectly Holistic...a Boutique for Cats! Purrrfectly Holistic…a Boutique for Cats! Dry vs wet pet food: does it really matter which one you feed your cat? After all, as long as your cat gets a meal that’s what is important, right? When manufacturers began making processed, dry pet food back in the late 1800s everything changed. Up until then pets were fed table scraps and hunted for their own food. Common diseases pets suffer from today were virtually non-existent back then. Is this merely a coincidence? I believe not. So what changed? 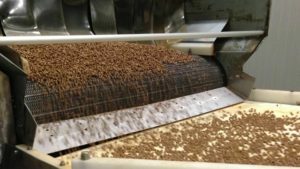 The kinds of ingredients used and the way pet food is made. Dry pet food is still by far the most popular kind of food fed to cats. Granted, it’s so convenient and much cheaper than fresh or canned food. People don’t think twice about leaving a huge bowl of kibble out and going out of town for the weekend. I’ll admit–I used to do this too, so I’m not judging! Plus, we are so conditioned as a society to buy in bulk with our Sam’s Club and Costco memberships; therefore, the 20 pound bag of dry cat food for such a low price is a deal. Not to mention the low prices at your favorite grocery store. Despite being convenient and so affordable, here are three myths about dry pet food you need to know. Cats, being carnivores, are biologically designed with teeth and jaws designed to rip and tear its prey–or food. I used to think that cats needed kibble to crunch on, that it helped their teeth somehow. In fact, several clients of mine have thought the same thing. Here’s the truth: dry food promotes tartar and plaque, contributing to periodontal disease. This is due to the carbohydrates in the kibble. A better option would be to feed your cat raw bones or a prey diet. Chewing on these help scrape tartar and plaque off the teeth as well as massage the gums. Feeding your cat a wet diet reduces the amount of carbohydrates and ultimately the amount of tartar buildup on the teeth, too. Especially in cheaper brands, high quality meat proteins are rarely used. Instead they substitute these with ingredients like meat meals and meat by products. These are inferior quality, less bio-available (not easily broken down and utilized), and may be sourced from 4-D meats: dead, diseased, dying or disabled animals. To read more about this reality check out this page. During the extrusion process, which cooks everything at extremely high temperatures, chemical by-products are formed. These by-products, acrylamides (from the sugars) and heterocyclic amines (from the proteins), are known carcinogens. Furthermore, the packaging of dry pet food has cancer-causing chemicals in it, including PCBs and phthalates. Additional chemicals provide for palatability, preserve shelf life and coloring. Did you know that dry pet food has sugar in it? It’s true! However, you’ll never see this listed on the label. Both grain-free products and those with grains (rice, wheat, corn) are all metabolized as sugar. Sadly, pet food makers would love for you to believe their grain free versions are somehow better when they are not. The percentage of carbohydrates (sugars) in dry food commonly range from 20%-40%+ of total volume. This is much higher than the recommended 6-8% and is often the root cause of digestive issues, illnesses and diseases in cats. This includes vomiting, pancreatitis, IBD, obesity, diabetes and even cancer. “All we can say is feed less and exercise more,” he said. 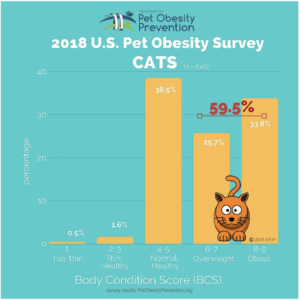 ‘That doesn’t work for humans, much less pets.” The infographic below showing the survey results is mind-blowing and sad. If your kitty is overweight or obese and eats dry food, I strongly urge you to stop. This step alone will reduce a huge amount of daily calories that contribute to the issue. Furthermore, if you worry your cat will starve by not free-feeding kibble all day, you can stop worrying! By nature cats are not grazers; instead they hunt, kill, eat, and fast. A better alternative is to get your cat on a feeding schedule with 2-3 small meals per day. Got a picky eater? A meal schedule ensures kitty will be hungry at mealtimes and more likely to eat what you offer. 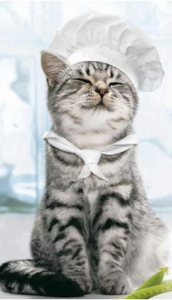 Finally, if your cat simply refuses wet food there’s a strong possibility he may have a sensitivity to it. This condition is more common than you may think! By using muscle testing and doing energy work to release this condition I can help your cat transition off dry food and on to a healthier wet diet. Through education it is my dream and goal to help all cat parents transition their cats off dry cat food completely. 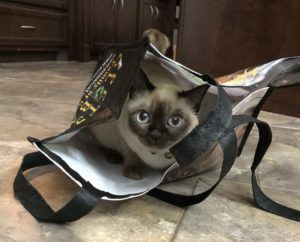 To learn more about how I help cat parents identify and address their cats’ physical and emotional conditions, check out this service: Optimal Cat Health Analysis. 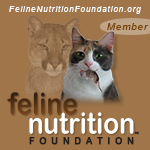 To learn more about what should and shouldn’t be in your cat’s food click here.